Is there a right way to cover human trafficking and slavery? Are there ethical pitfalls going undercover to produce an earth-shattering investigative report on this repulsive trade that can jar the world’s conscience? A topic that’s existed since time immemorial but has become increasingly thorny given the media attention it’s received, often tied in with the international migrant and refugee crisis. 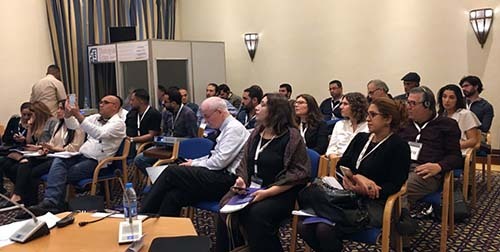 Media Unlimited director Magda Abu-Fadil helped provide tips on how to cover it at a soft launch of guidelines during a December 2017 panel at the Arab Reporters for Investigative Journalists’ (ARIJ) annual conference at the Dead Sea in Jordan. Her presentation, animated with case studies and videos on slavery, human trafficking and prostitution, was drawn from the guidelines and other sources. Abu-Fadil said news of human trafficking was one of the biggest and most difficult challenges facing media and an important test for media ethics. This type of news requires attention and sensitivity, as the language, portrayal, and context used by journalists and media may cause damage, incite hatred, and reinforce stereotypes, she explained. It may also result in ignorance and misunderstanding that would divert attention from the root causes and hamper the public debate needed to solve this crisis, she added. 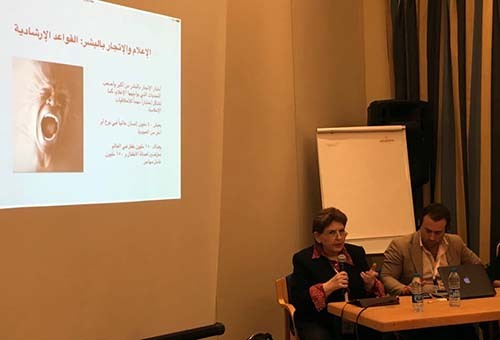 Despite the existence of glossaries from various international organizations and NGOs, and reports documenting the facts, Arab journalists still use inaccurate language without distinguishing one term from another, Abu-Fadil said. The guidelines project was funded by the European Union, implemented by an international consortium led by the International Centre for Migration Policy Development (ICMPD) and authored by the Ethical Journalism Network’s director Aidan White. 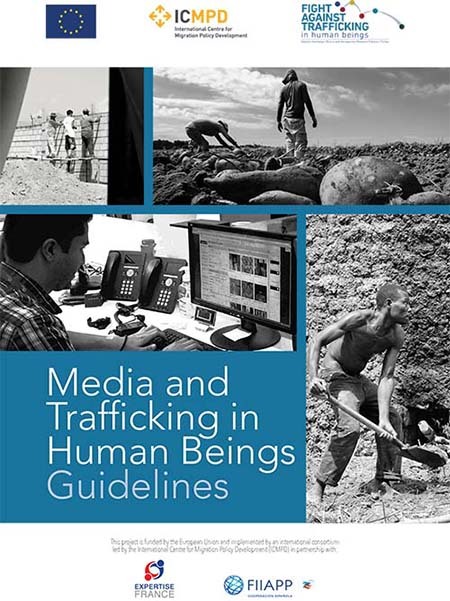 The guidelines were written in English and will be made available for download in several languages as a useful handbook for journalists to facilitate their work. Read Abu-Fadil’s blogpost on her presentation. This entry was posted in Speaking and tagged Arab journalists, Arab Reporters for Investigative Journalists’ (ARIJ), Ethical Journalism Network (EJN), European Union, human trafficking, International Centre for Migration Policy Development (ICMPD), media, migrant, prostitution, refugee, slavery. Bookmark the permalink.